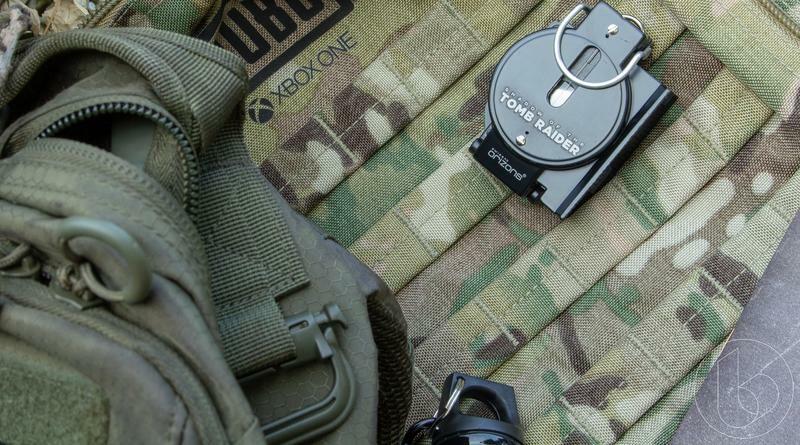 These days, writing about games, TV, and movies usually means we’re working with purely digital media. 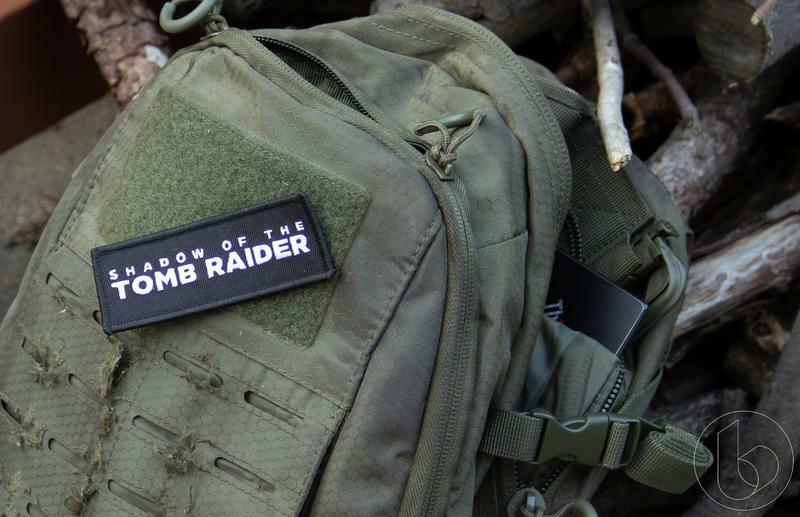 Games are distributed by code, and so many of the movies and shows we’re watching start life on streaming services like Netflix. 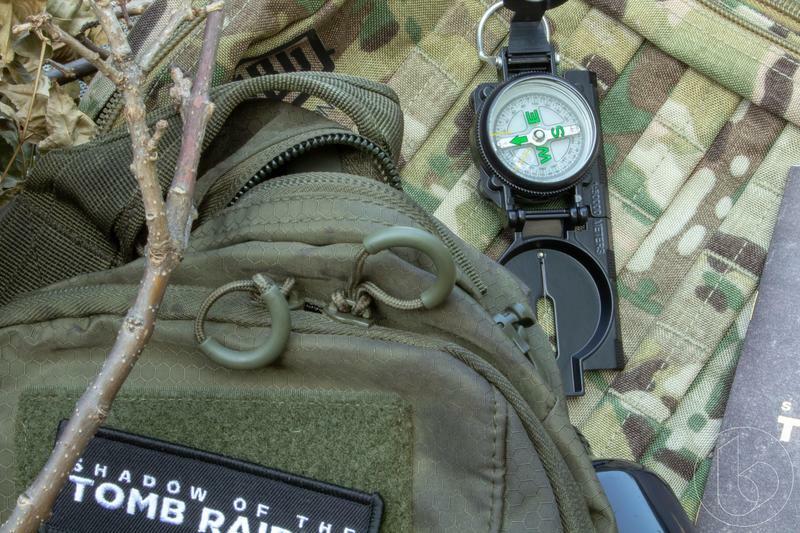 Once in a while, though, one of those ends up accompanied by a physical goodie that we didn’t plan on. 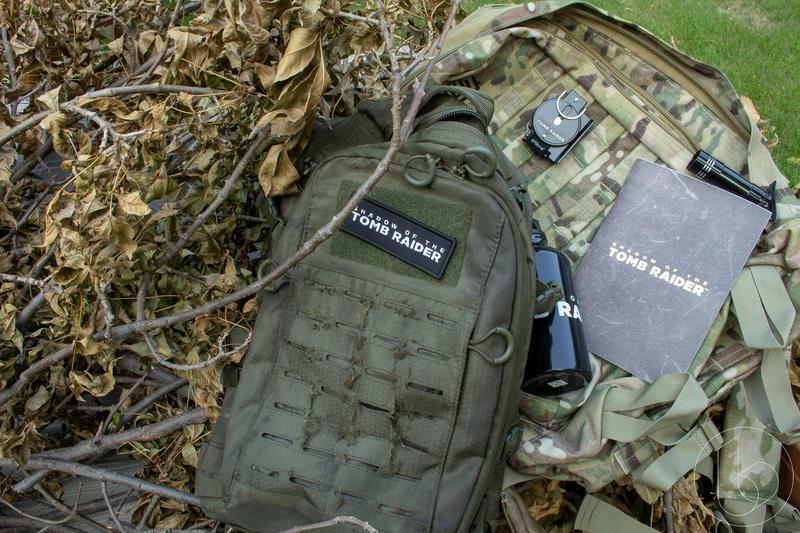 Earlier this year, Microsoft sent us a PlayerUnknown’s Battlegrounds care package with a backpack, a canteen, and a full ghillie suit that I actually put on . 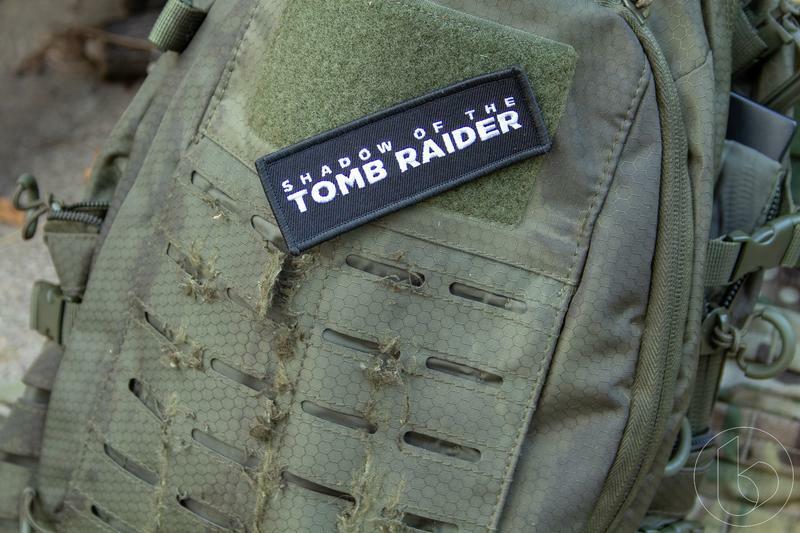 Now, Square Enix has seen fit to send us a bit of Tomb Raider-themed gear that feels like a piece of the series while being a bit more than a shelf ornament. 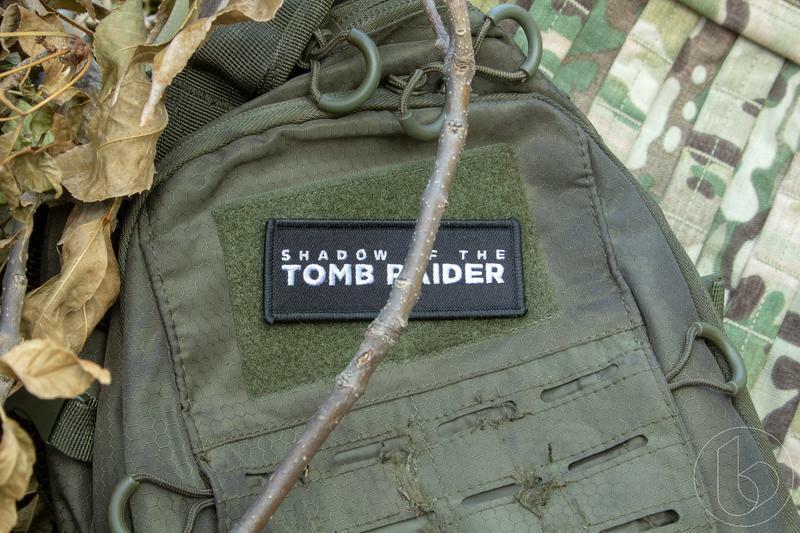 I give you: The Shadow of the Tomb Raider backpack. 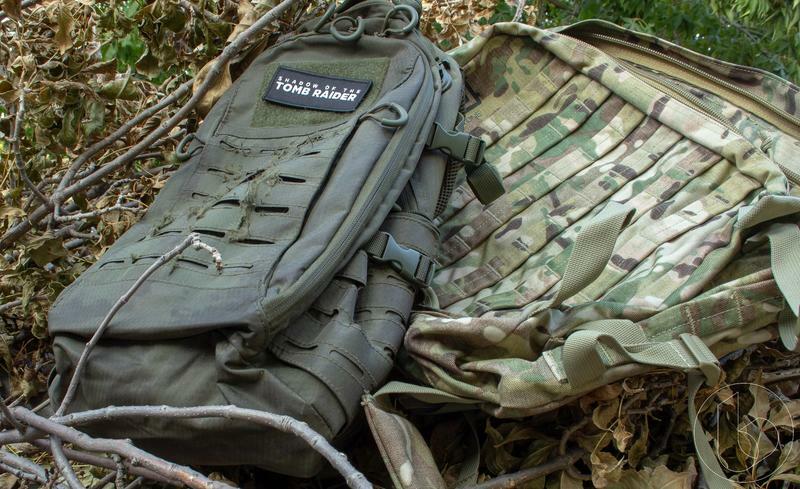 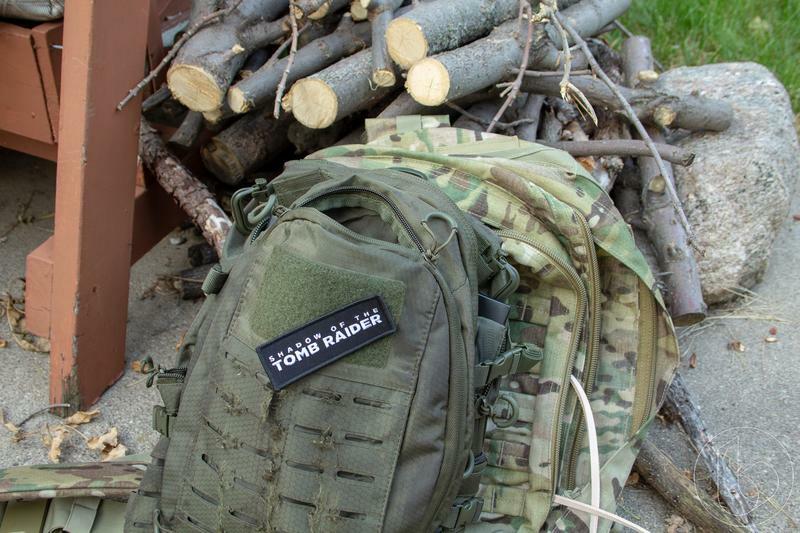 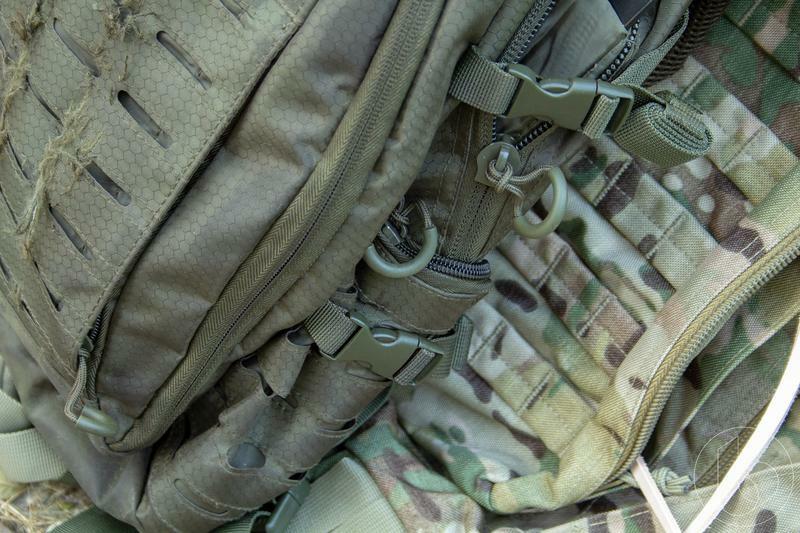 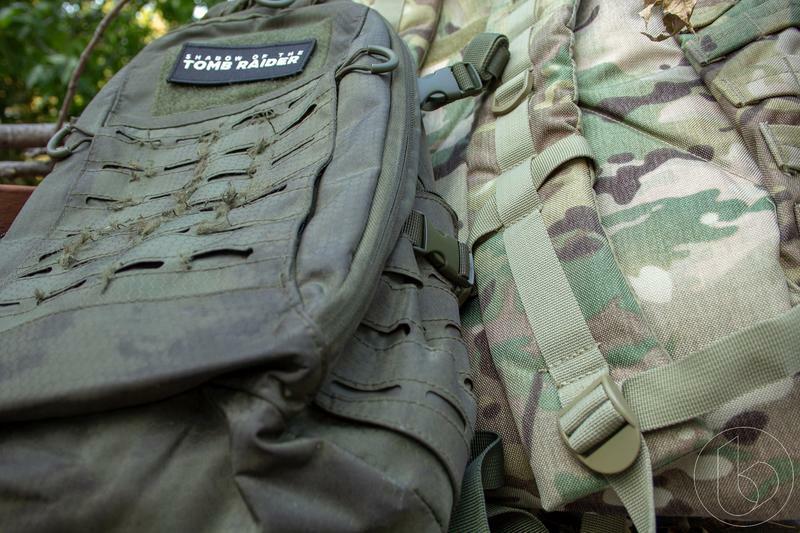 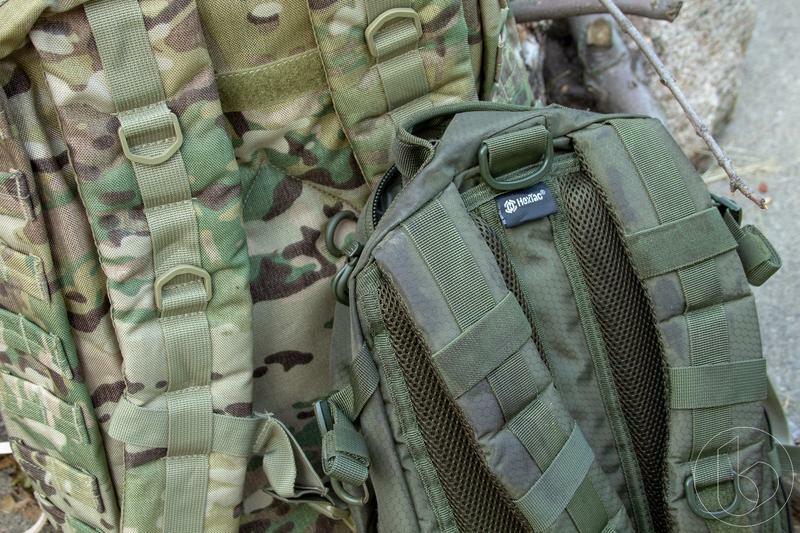 The backpack itself is a Mil-Tec HexTac backpack. 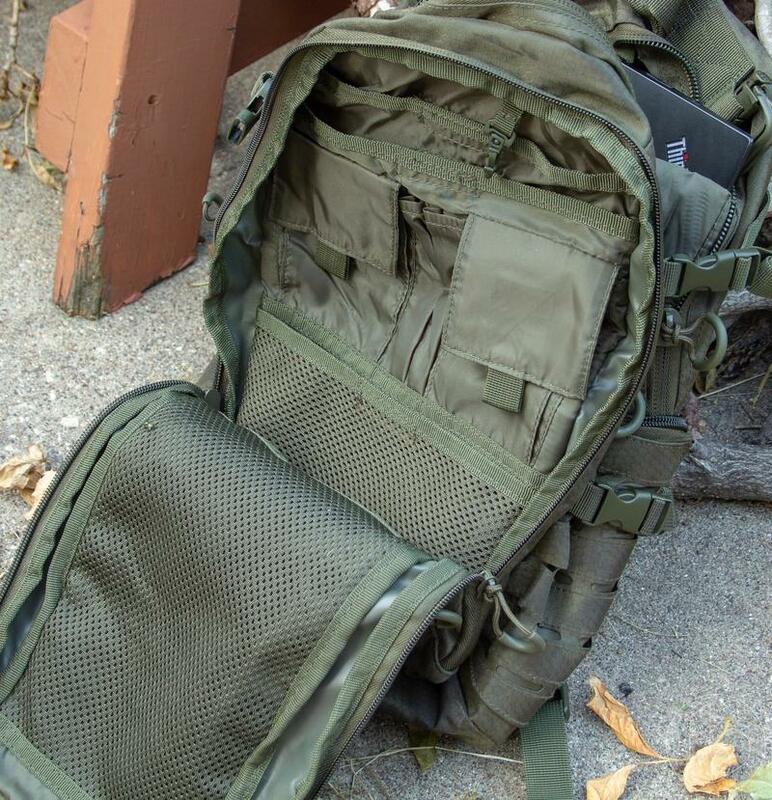 It’s available online for about $70 from some sites in a slightly less beat-up form, and Amazon has similar models from the same manufacturer, though not this exact model. 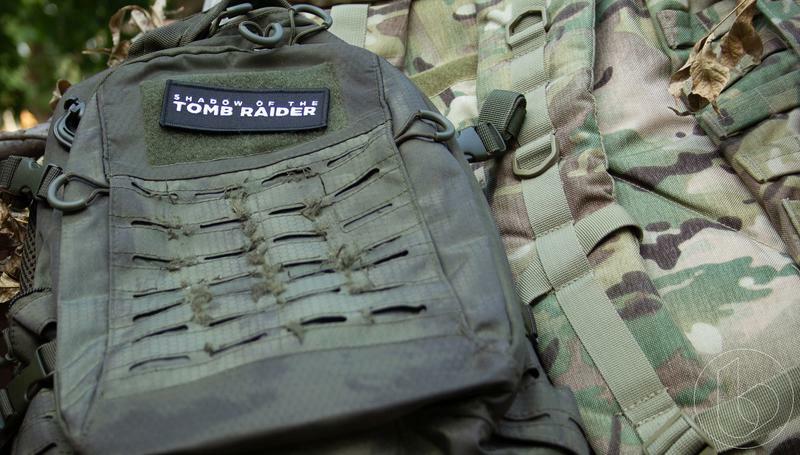 For the backpack itself, the only things that really set it apart from the original model are the Tomb Raider patch and the fact that some of the MOLLE attachment points are torn up ahead of time because, you know, Lara gets the crap kicked out of her. 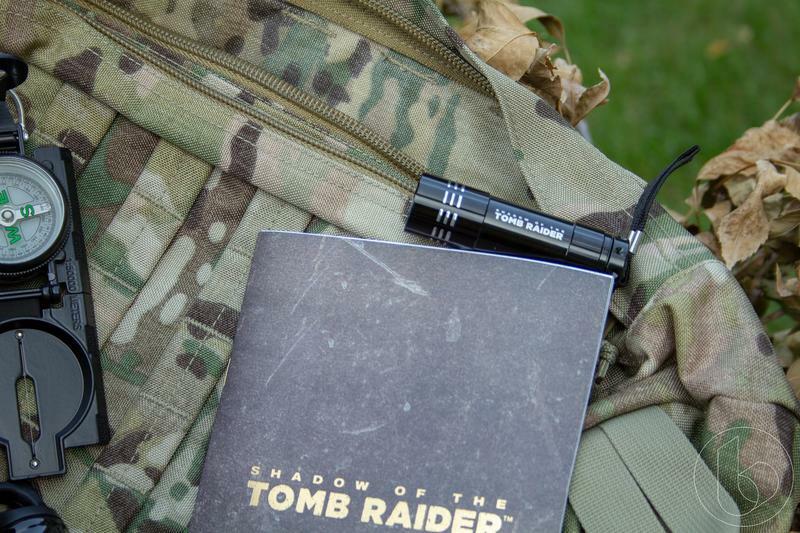 Inside the bag, we found a Tomb Raider steel water bottle, a short artbook type of thing, an LED flashlight (batteries not included, of course), and a compass that is definitely broken. 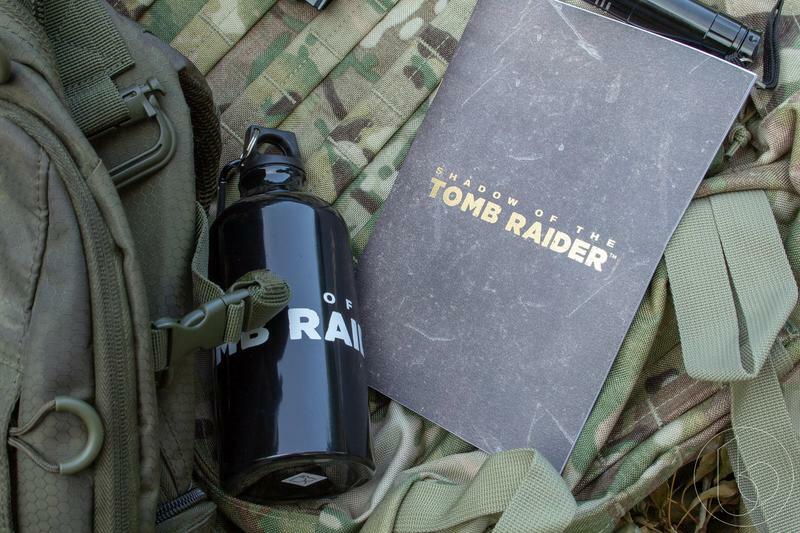 I’m not sure if it’s supposed to be part of a Tomb Raider-esque puzzle or if it just got busted in transit, but it’s pretty cool looking. 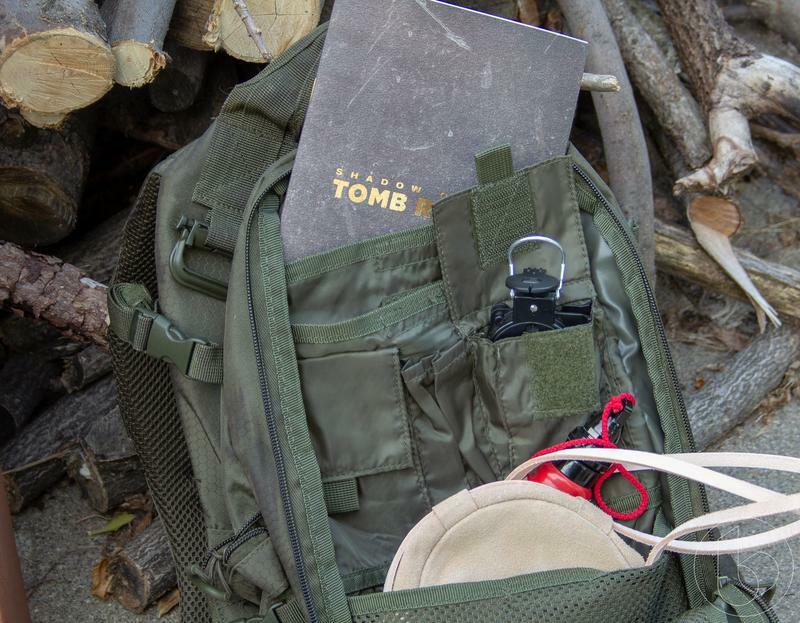 It’s also a pretty compact backpack. 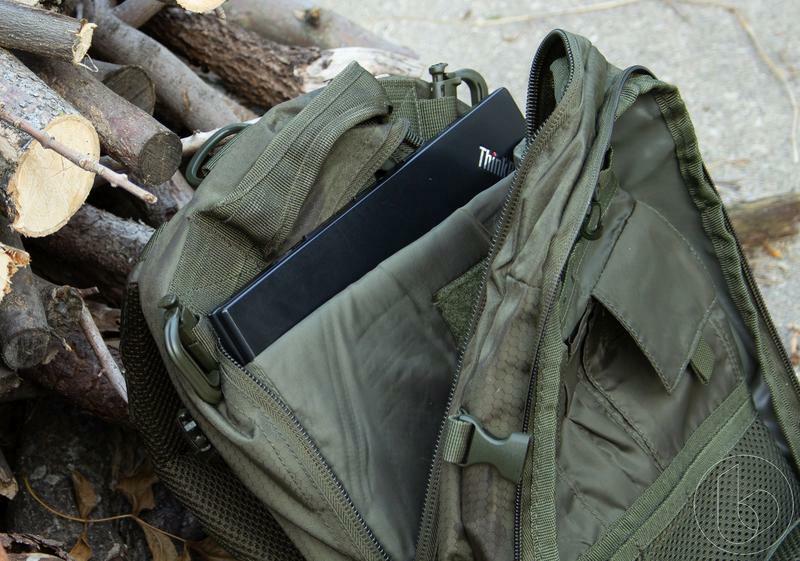 it’s equipped with a pretty impressive collection of sleeves and pockets, enough that it could actually be used on a day-to-day basis, complete with a lightly-padded laptop sleeve. 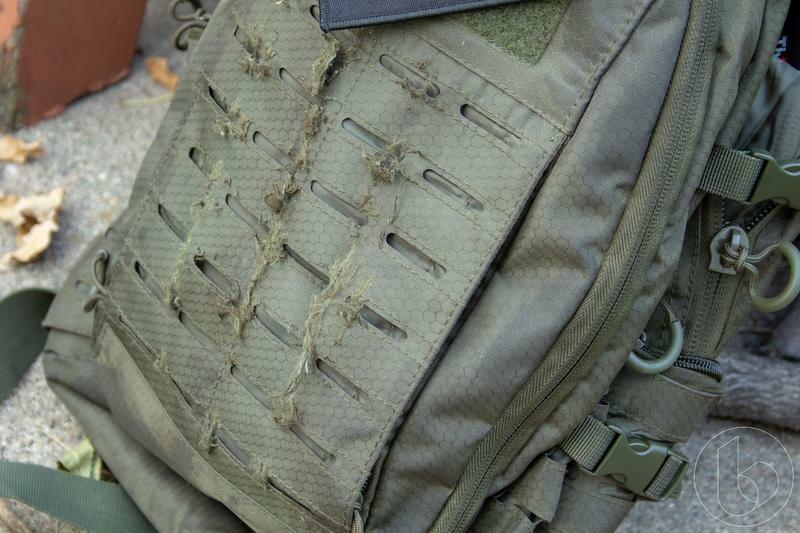 We get weird stuff in the mail here at TechnoBuffalo, but once in a while, we get something you might be able to call useful.